In August & September 2018 we hosted photo walks around the three areas we work in - Hampton, Bretton and Millfield. Attended by residents, the idea behind the walks was to explore your neighbourhood through a new lens, as well as learn new photography techniques and approaches! We are hosting a free exhibition at Vivacity Shop, Queensgate (opposite McDonald's) to display some of the great photographs taken on the walks. 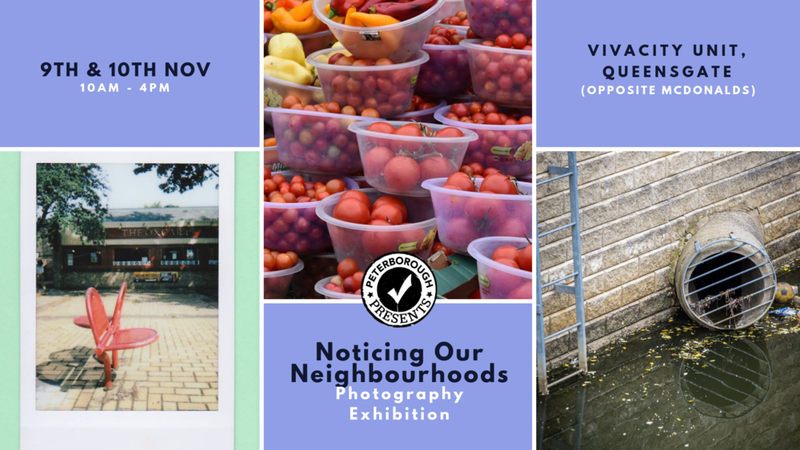 The exhibition will feature 12 photos from each area; 6 have been decided through an online vote on our facebook page, and 6 have been selected by a panel of expert photographers.